For 2015, I was 92! Congratulations me. I am NORMAL! But maybe “normal” isn’t such a good thing in this case. What’s 8 and 92, you ask. The percentages! 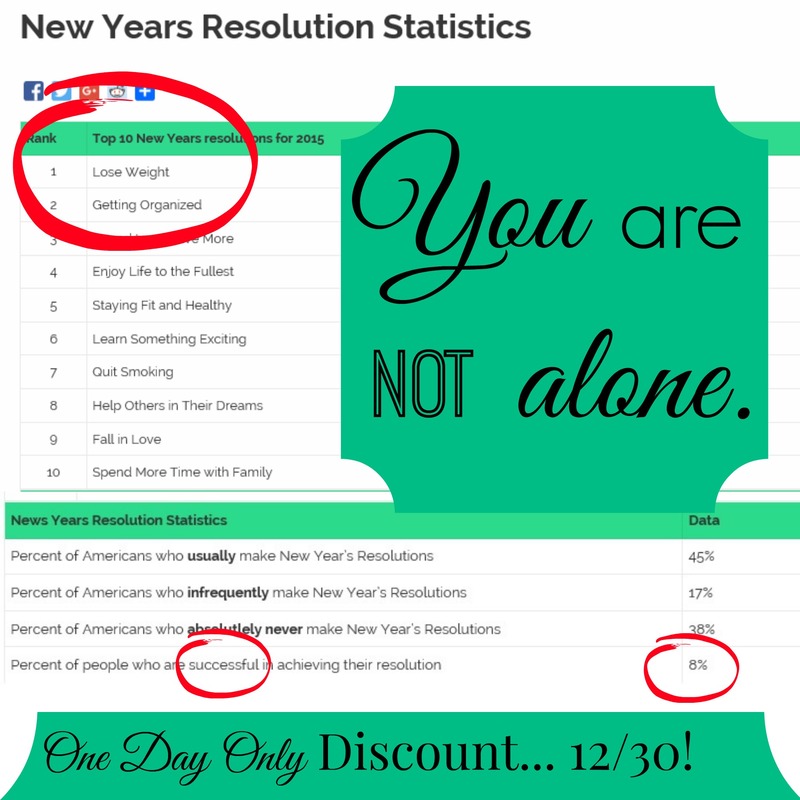 🙂 Statisticsbrain.com statistics for 2015 reveal that of those who make new years resolutions only 8% find success. That means that 92% didn’t. Assuming you made a new years resolution last year (even if it was so secret that YOU weren’t even aware of it)… Which one do you fall into? Are you an Eight-er? Or are you an Ninety-Two-er? If you are an Eight-er, don’t be embarrassed. You are not alone! I was marching along the 8 camp last year until LIFE HAPPENED! As you might have heard by now, it wasn’t easy for me to handle my own emotions. I had a horrible time with self-regulation. I lost control and soon enough, I had fallen off the Eight-er crowd and into the Ninety-Two-er! Whoops! I knew better but I lacked the tools necessary to get me back up. With an IFBB professional trainer, I still couldn’t get back up. I needed something more than a perfect food and fitness plan. I needed the mental tools. With much research and study, I have discovered a new formula to help us all START and STICK to our food and fitness goals. It’s beyond exciting for me! In fact, I have a hard time not wanting to tell every stranger about this new insight and discovery. It has brought me to much awareness and freedom. How about you? Are you ready to STICK to your food and fitness goals? Consider joining me in January for an eight week virtual course. Check out the curriculum outline here! BIG SECRET! If you didn’t hear yesterday in my quick email, I have a SPECIAL ONE DAY ONLY Discount for this 8-week course! The price hasn’t been announced on Social Media yet because I wanted you to be the first to know and get a chance at getting your friend and grabbing a seat! Check out the deal here. Then sign up on WEDNESDAY, December 30th! You won’t want to miss this one-time launch offer!! All my love as we are in the 8% this year!